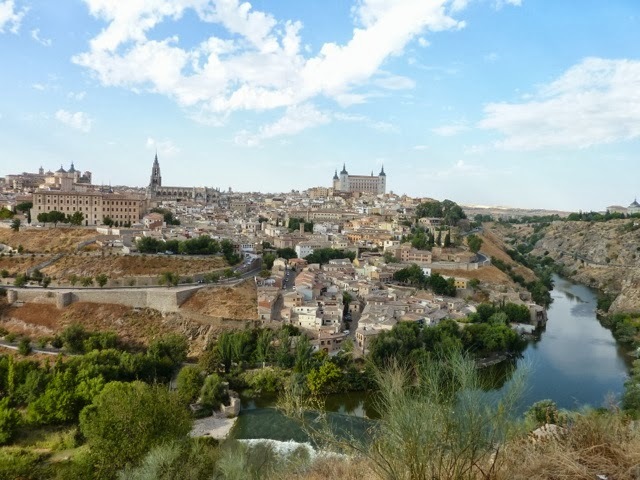 Rail tickets for the comfortable 30-minute ride to Toledo cost just 10€. That's a great value when you consider that a taxi to the rail station costs 6€ ! I've got to admit that my expectations were low; but Toledo turned out to be a very approachable and enjoyable walled city. 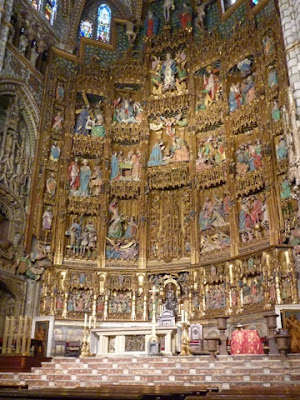 Rick Steves says that if you're only going to see one cathedral in Europe, then make it the one in Toledo. He is correct; this structure is gargantuan, the interior is a cacophony of chapels and shrines that compete with the main altar for your attention. Generations of wealthy noblemen have funded monumental installations, thereby gaining a final resting place within the cathedral walls. If you're going to choose your eternal neighbors, one of them might as well be God! During parades on the feast of Corpus Christi, this monstrance becomes home to the body of Christ. 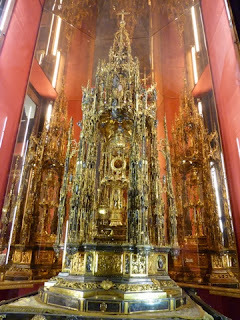 Artists worked religiously for seven years to complete this meticulous assembly whose components used over forty pounds of gold. 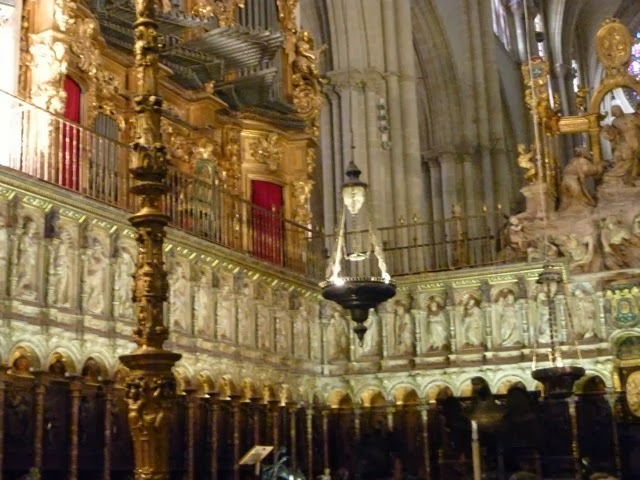 Mummified body parts are prized relics, disbursed by the popes to favored dioceses. 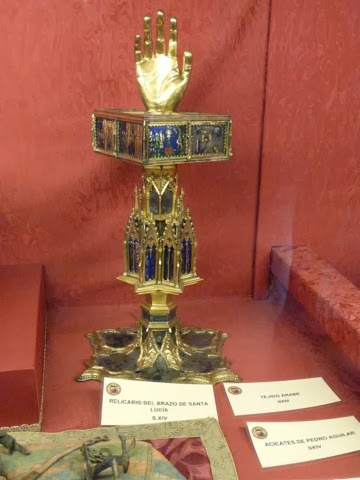 Saint Lucy's hand is housed in this trophy-like container. 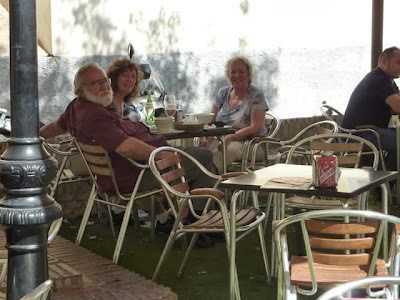 ... after which Gloria went exploring with Mary and Ed. I rode the funky little tram which circles the city walls, providing many photo opportunities.